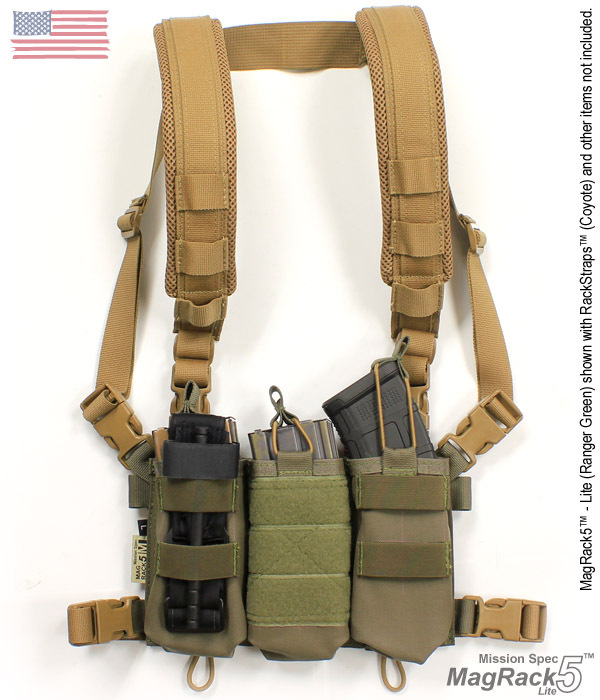 Mission Spec has released the EC2-XL™, the larger version of the standard Essentials Carrier 2. 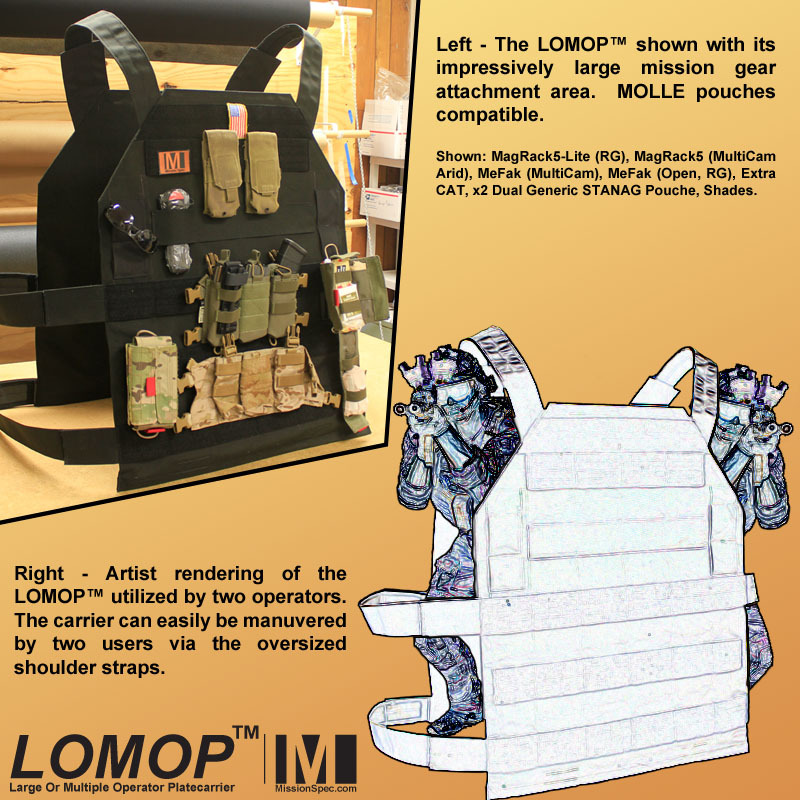 As the name implies this carrier is designed specifically for XL sized (e,x)SAPI (or like) armor plates (not included). 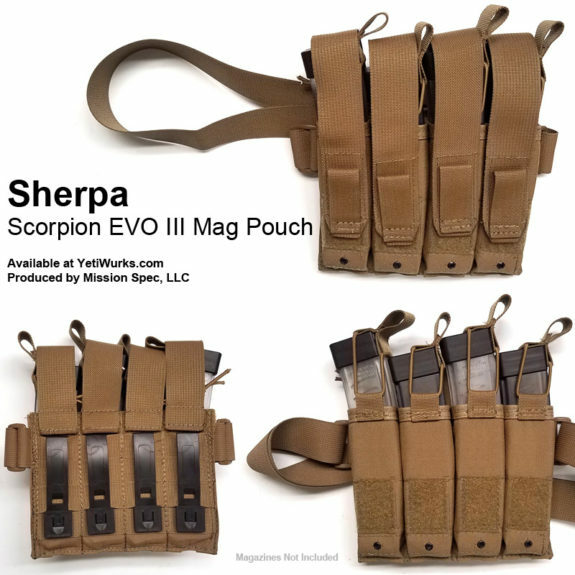 Just like the standard sized version, the EC2-XL includes native support for industry standard chest rigs (with the addition of 2 QASM buckles), dual tourniquet holders, dual pen/chem-light/medical gloves storage, cable and hydration routing options, rear pack hangers, and simulated PALS sewn into the semi-elastic side straps for extra MOLLE pouch support. 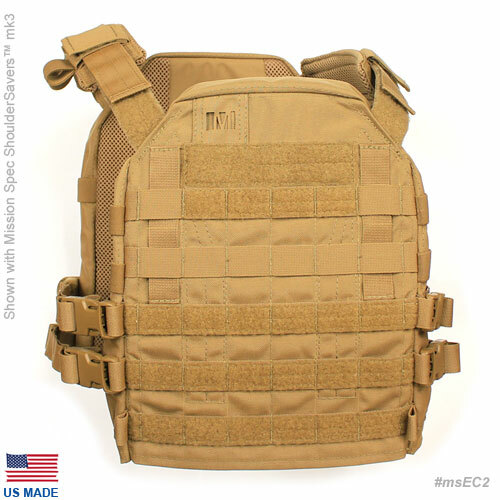 Excluding armor, the EC2-XL weighs 29 ounces and is constructed from 1000D CORDURA (500D for MultiCam; Black, Arid, Tropic). Note: The above video was produced with a standard sized EC2. 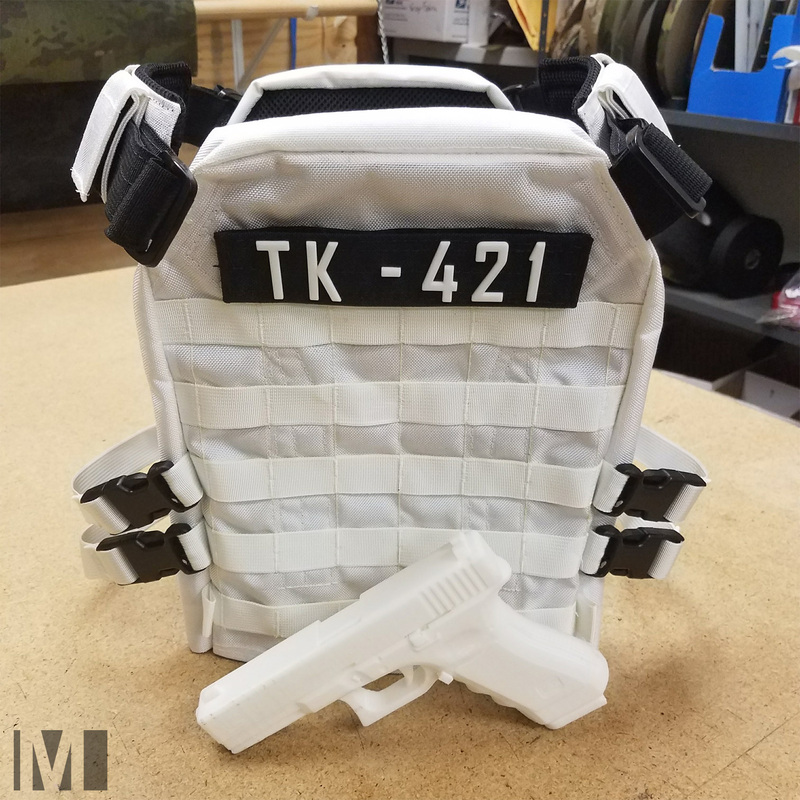 The EC2-XL is fully compatible with other Mission Spec products such as ShoulderSavers™ (all versions), FlankSavers™, and MagRack5™. Inserted armor is always kept at the highest possible position inside of the plate bags due to the EC2-XL’s armor suspension system. 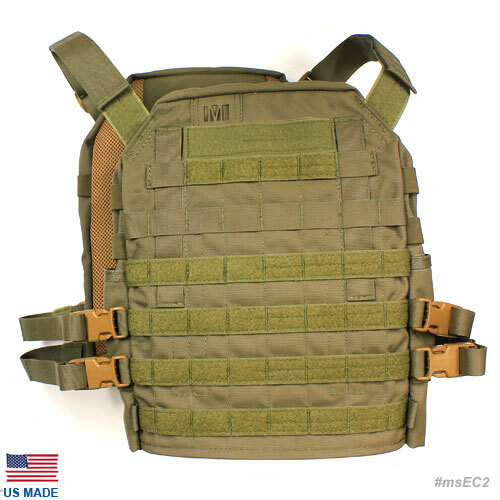 All armor weight bypasses the CORDURA® layer and is loaded directly onto the internal webbing structure. 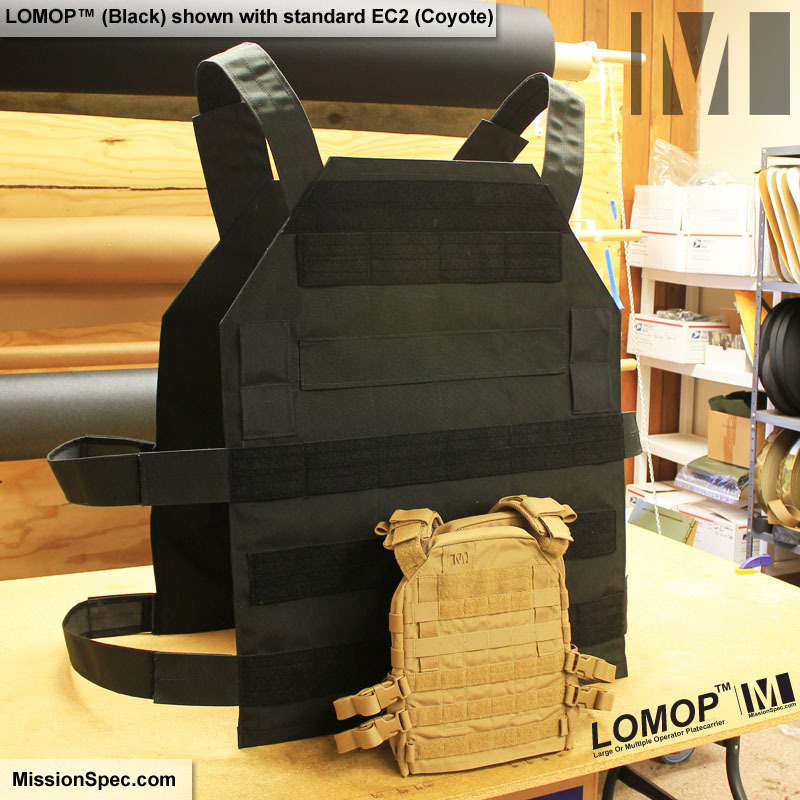 Available now in the entire line of standard colors and patterns offered by Mission Spec. Custom colors and patterns along with other customizations are possible on a case by case basis. Contact Mission Spec if needed. 100% designed, tested, and manufactured in the United States with US sourced components and Berry Compliant. The Mission Essential First Aid Kit (MeFak)™ is a tear-away individual trauma pouch. Included with purchase is the MeFak pouch and base pieces along with 2 Long MALICE clips. With the rear of the pouch portion being lined with hook Velcro it can be easily ‘stuck’ to any loop surface while in use. – 1000D CORDURA®. (MultiCam; Arid, Tropic, Black 500D). – Berry Compliant (see: Berry Amendment USC, Title 10, Section 2533a). – 100% U.S.A Designed, Tested, and Manufactured. The MeFak is available now in the entire line of Mission Spec standard colors and camouflage patterns. Mission Spec EOC – Empire Only Carrier? Mission Spec made this Star Wars themed carrier. It’s pretty much the best thing you’ll see all day. Mission Spec is offering between 20 and 30% off of select items. A complete list of items can be found on the Promotions page at MissionSpec.com.